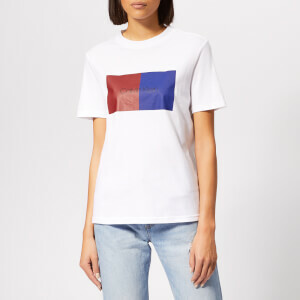 Women’s ‘Scout Badge’ boyfriend T-shirt from McQ by Alexander McQueen. Cut from fresh white cotton, the tee comprises a ribbed round neckline, short sleeves and a straight hem. Colourful embroidered badges at the chest and back provide the finishing touches.